Around 1869 speculative developer Thomas McLelland completed a pair of matching Italianate brownstones at Nos. 55 and 57 East 78th Street, between Madison and Fourth (later Park) Avenues. At three stories tall above English basements and just over 18-feet wide, they were intended for merchant class families. Their pedimented doorways, molded window surrounds and bracketed cornices could claim nothing to set them apart from dozens of similar homes. They were, nevertheless, handsome and comfortable dwellings. No. 55 saw a rapid-fire change in owners in its first years. In September 1869 McLelland sold it to Charles Hudson, who resold it 10 months later to Richard Eccleston. Eccleston paid $10,000 for the property, around $194,000 today. He doubled his investment on April 24, 1872 when he sold it to Lewis Siegel for $24,000. Once identical, No. 57 lost its stoop in the 20th century. Siegel was a well-to-do wine merchant, listed that year as the sole proprietor of Siegel & Brother. His store and office were at No. 42 Warren Street. He not only imported wines, but manufactured some of his products. One directory noted that he produced "California Champagne & Celebrated Wampoo Bitters." Bitters were a tonic, purported to cure digestive problems. And like many tonics, Siegel's Wampoo Bitters included a hefty dose of alcohol, an ingredient that caused the ruination of a pair of ambitious would-be entrepreneurs. In his 1914 book Forty Years a Fool, Charles Francis Adams wrote that he and a former soldier planned a store in the West. We decided to embark in the dry goods and grocery business and to carry a line of 'Wampoo' bitters on the side. It was this side line that proved our undoing. My partner was a good man, but he had contracted the drink habit in the ranger service and he kept up his established record in private life. I soon sold out all the dry goods and groceries on credit and he drank the stock of Wampoo down to where there wasn't enough to win an election. The seemingly tireless Siegel patented his "Catawba grape champagne" on September 3, 1877. He now produced two domestic "champagnes," and advertised imported brandies, Rhine wines and liquors. Siegel's two sons, Gabriel and Julius initially went into the drygoods business. Gabriel had opened a store by 1892, and was joined by his brother around 1897. It was conveniently close to home, located at No. 1342 Third Avenue, less than two blocks away. It would appear that the Siegel household was a male-only domain. No mention of a Mrs. Siegel appears in newspapers, charitable organizations or social events. The men were taken care of by a small domestic staff. On November 17, 1902 they placed an advertisement in the New York Herald seeking "Young girl to cook, to assist with the washing and ironing." After living at No. 55 for more than three decades, Lewis Siegel died there on May 3, 1904 at the age of 73. His funeral was held in the house three days later. Julius, who now held title to No. 55, remained for five more years. He sold it on August 2, 1909 to Morton L. Fearey. The following year in September Fearey sold it to Robert Burnside Potter and his wife, the former Elizabeth Stephens Clare Fish. On October 1, 1910 the Real Estate Record & Builders' Guide commented "The purchaser will occupy [the house] after extensive alterations." Potter's renovations included enlarging the house with an extension to the rear. The title of the property was put in Elizabeth's name. The couple, who had two sons, Warick and Hamilton, maintained a summer estate, Antietam Farm, at Smithtown, Long Island. The family's residency on East 78th Street would be relatively short-lived. Although Elizabeth retained possession, it was leased to D. Thomas Moore in September of 1916. A wealthy broker, Moore and his wife, the former Mary Earle, maintained a country estate in Westbury, Long Island. They had three daughters, Mary, Susan and baby Rosamond. In the fall of 1917 the Moores were looking for a helper for little Rosamond. Their advertisement in The New York Times on November 3 sought "nursery maid, one who can sew. French preferred." Americans were engulfed by a wave of patriotism after the United States entered World War I on April 6 that year. Mary was a 16-year old girl with formidable self-confidence--a fact that made itself evident a few weeks later. She was shocked and offended when she overheard a taxi driver verbally abuse a boy scout at Fifth Avenue and 13th Street on the afternoon of May 12. Frank McGuire hollered at the boy, "What are you hanging around here for? Do you expect to find von Hindenburg?" According to The New York Call, Mary "told McGuire he shouldn't say such things to any boy scout in war time." McGuire's response to Mary was neither polite nor apologetic. So she had him arrested. He was fined $5 for disorderly conduct. On December 1, 1922 The New York Herald reported on Mary's coming-out to society. Her parents "gave a large reception with dancing yesterday in the crystal room of the Ritz-Carlton...and it was attended by several hundred." Afterwards the Moores hosted "a dinner for the members of the receiving party and some young men at their home, 55 East Seventy-eighth street." Three years later, on April 27, 1925, Mary was married to Daniel Peart Erwin in a society wedding in St. James's Church. Susan was her maid of honor and little Rosamond was one of two flower girls. Following their honeymoon, the newlyweds settled into their social positions. In addition to their summer residence on Long Island, they spent time in fashionable resorts and abroad. On September 5, 1930 The New York Sun reported "Mr. and Mrs. Daniel Peart Erwin, who recently returned from a year in Europe, had guests at luncheon in the summer garden of the Plaza yesterday." Unseen to society, there was trouble within the Erwin household. The couple was divorced the following year. Daniel P. Erwin married motion picture actress Doris Dudley (whose actual name was Roma Volck). That match did not work out and he soon divorced her, and in 1942 married Mrs. Camilla Livingston McVicker. In the meantime, the Moores were still leasing No 55 East 78th Street. 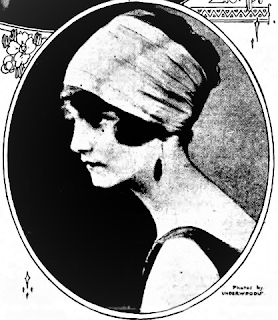 Society columnist Cholly Knickerbocker began her column on March 16, 1932 in the Albany Times-Union with the exclamation "Pretty Rosamond Moore will be an April bride!" She continued "That bit of personal intelligence leaked out yesterday and, unless there is a last minute change in the plans, Rosamond will become Mrs. Ezra J. Warner, Jr. on the afternoon of April 9, in St. James's church on upper Madison Avenue." Both Mary and Susan were part of the bridal party. Robert Burnside Potter died on May 31 1934. In 1943 Elizabeth converted the 78th Street house to one apartment in the basement, one the first floor, and furnished rooms in the upper levels. Following her death on October 25, 1954, the title to the property was transferred to her sons. Three months later, on January 29, 1955, The New York Times reported "In its first change of ownership in forty-four years, the five-story building at 55 East Seventy-eighth Street has been sold by Warwick and Hamilton F. Potter to Frederick Brown." Brown made updates resulting in one apartment each in the basement through 2nd floors, and two apartments each on the upper levels. Like several other former dwellings in the area, it became home to an upscale art gallery. On May 19, 1964 the Princeton Alumni Weekly announced "At 55 East 78th St., New York, there is a new gallery called Rabbino. There, Bruce Robbins markets works of art and provides consultations in interior design and landscaping." Then, in 1999 the venerable brownstone was returned to a single-family home. Old Masters art dealer Otto Naumann and his wife, Heide Shafranek, purchased it in January 2010 for $8.5 million. They sold it just two years later to artist and photographer Richard Prince for $13.75 million. In reporting the sale The Observer described five bedrooms, "a mahogany library, wood-burning fireplaces with marble mantels, Venetian stucco walls and a wine cellar." Astoundingly the house which the Landmarks Preservation Commission described in 1981 as "in original condition and remarkably well preserved" remains so today--the last unscathed survivor of the post Civil War period on the block.